This wonderful, modern hotel has attractive guest rooms featuring bright art and large work areas with comfortable office chairs. There are a number of nearby restaurants and golf courses. Smoke free premises. 85 units. 4 stories, interior corridors. Accessibility (Call). 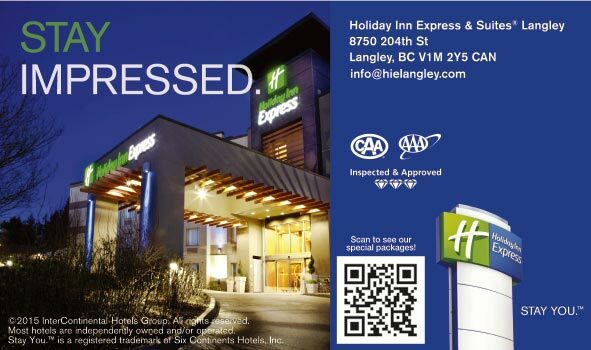 Trans-Canada Hwy 1 exit 58 (200th St/Langley City), just e on 88th Ave. 8750 204th St V1M 2Y5.